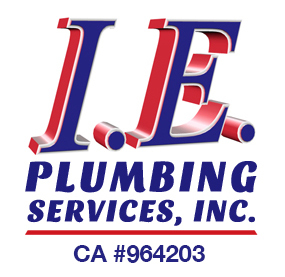 Lake Elsinore Plumbing & Drain Services | IE Plumbing Services Inc. 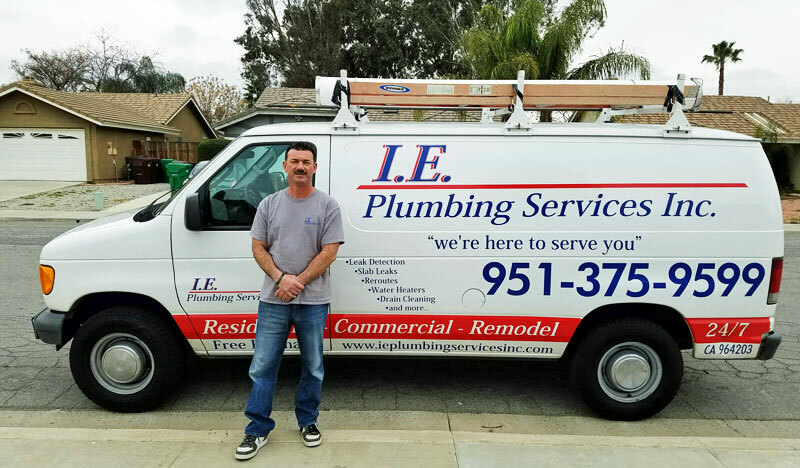 Need A Professional Plumber In Lake Elsinore? 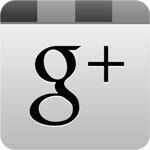 Need a local plumber in Lake Elsinore, California? Whether you need a residential plumber or commercial plumbing services you can count on the pros from I.E. to arrive promptly with 24 hour emergency service. We’re a full-service company with experts in drain cleaning services, leak detection, slab leaks, water heaters (repair and installation) and pretty much every plumbing problem you might experience. We even have experienced remodeling plumbers. 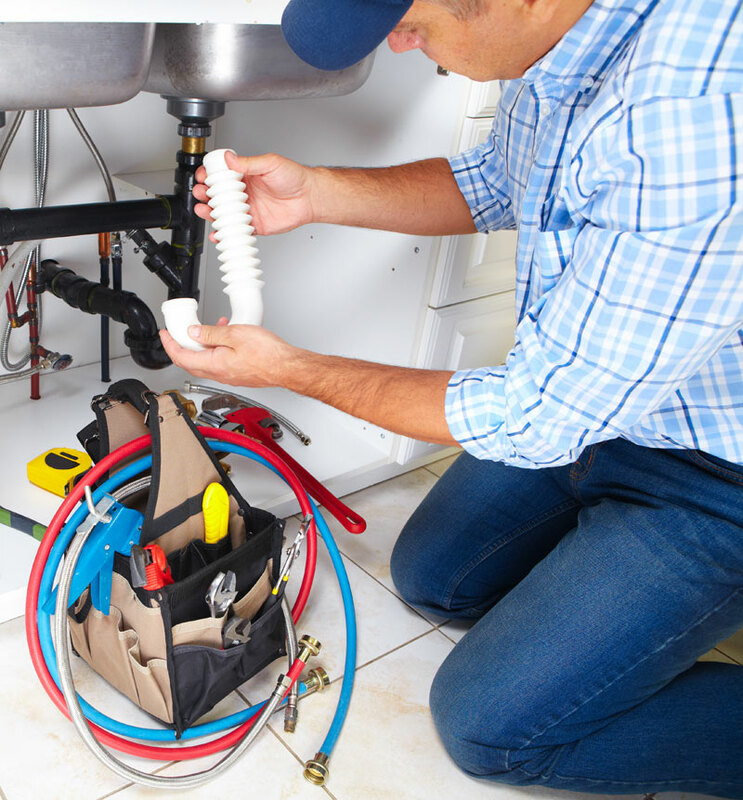 Choose I. E. Plumbing Services Inc.
Our field team has all the qualities you should look for in a local plumber: highly-trained, dependable, professional, courteous, expert at troubleshooting, and efficient at repairs and installations. Arriving promptly at your Lake Elsinore location in a well-stocked truck with all the right equipment they almost never need a second visit. And whether for scheduled maintenance or 24 hour emergency service, we stand behind our work with a make-it-right guarantee. Whatever your residential plumbing problem is, we’ll send out the right master plumber, plumber, or technician with the right equipment and all the parts you’re likely to need for one-call one-stop service. We’re ready for minor incidents (well, they seem minor after they’ve been taken care of) such as clogged drains and toilets that are clogged or need some toilet repair. But we’re also experienced in difficult issues such as sewer line and water heater repairs. We can re-pipe for a slab leak repair, or completely re-pipe your whole home. We work with building owners, HOAs, property managers, and condo associations to build long-term relationships that benefit everyone. Especially experienced in office and apartment complexes in the Lake Elsinore area, we’ll help with contingency planning and take care of maintenance and emergency repairs. Our remodeling plumbers can also handle tenant improvements. Familiar with accounting procedures, insurance issues, and tenant liability we’ll work as part of your team. We’ll even attend HOA meetings to explain procedures and provide some tips. People may use different terms for the same thing, or the same term for different things — slow draining, clogged, blocked, backed up…. 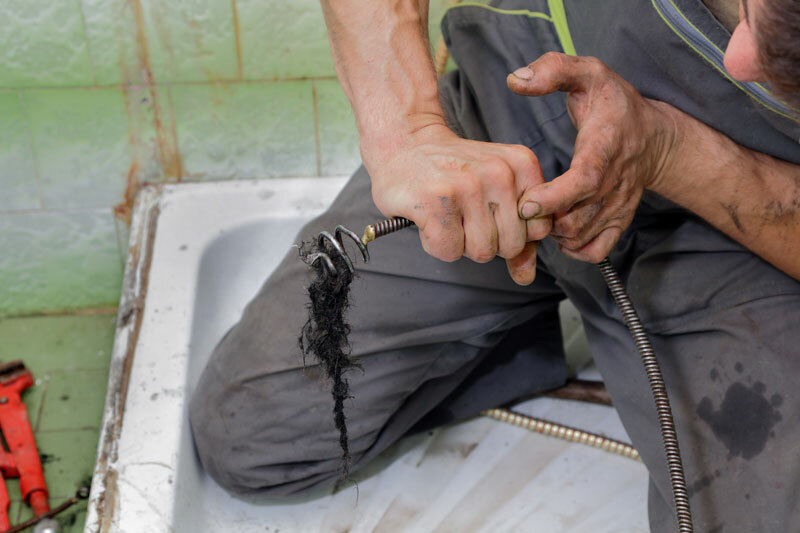 Whatever you call it, like most problems drain clogs only get worse with time, so don’t wait until you have standing water in a sink, tub, or shower or an overflowing toilet. Our drain cleaning service will take care of the problem once and for all. We’re specialist in drains with recurring problems, typically caused by grease build-up in a kitchen or commercial sink. Hydro jetting is the only process that completely cleans inside of pipes for a trouble-free future. We go one step beyond with advanced rotary nozzles that can even clear tree roots as part of sewer cleaning. That “lateral” is your responsibility, not the City of Lake Elsinore’s. We also have the latest in-pipe video cameras for identifying the nature and location of a sewer blockage and inspecting the condition of the sewer line for settling, corrosion, bad joints, and so on. And you can see what we see. You know to take action if there’s little or no hot water or you spot a leak. But you should also call for water heater repairs if you have rust-colored or smelly hot water, or if you hear strange noises coming from the tank. Whether gas or electric our specialists will diagnose the problem and go straight to the fix, usually within an hour or so. Some models are only expected to last some 8-10 years, tanks can develop leaks, and parts can become unavailable. So sometimes there’s no real choice other than a replacement water heater installation. We’ll advise you in advance what effect new efficiency standards have for your Lake Elsinore business or home (there’s a big difference for tanks above 55 gallons) and what your options are. Regardless, most replacements take just a few hours. We’re experts in installing, repairing, and maintaining tankless water heaters. This technology can provide nearly-instant and never-ending hot water by heating only what you use, as you use it. We also provide residential as well as commercial hot water heater annual maintenance services. Recommended by manufacturers, that keeps your unit at peak performance for the best efficiency, capacity, reliability, and equipment lifetime. A water leak can be obvious, or it can be very difficult for a homeowner or business owner to track down. But it’s still causing water damage, and even experienced plumbers may end up making a series of holes in walls and floors as they track it down. Unique to local residential plumbers in Lake Elsinore we have the best combination of advanced equipment to pinpoint the location without additional damage. 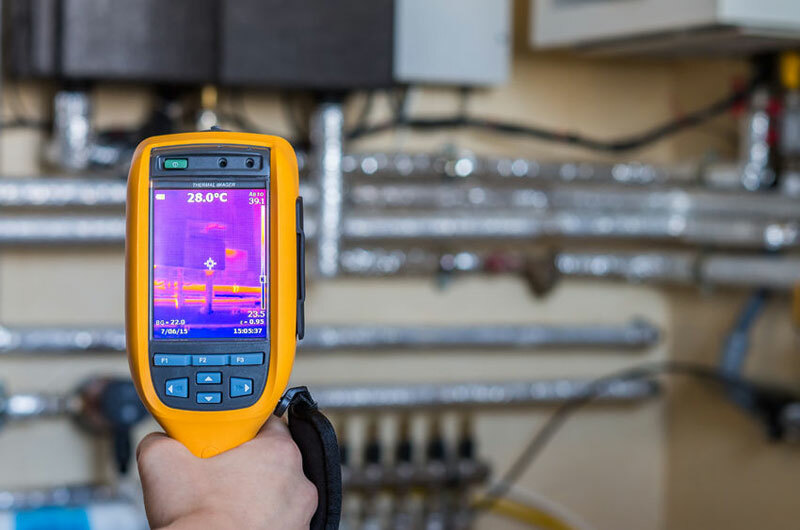 After a sensitive pressure test to confirm that there is indeed a leak, we’ll use our thermal imaging and ultrasound gear to quickly determine its exact location. “Slab leaks” occur when any plumbing is underneath a concrete floor slab. That type of construction is common in Lake Elsinore, and galvanized iron pipes installed before the 1970s along with soft copper pipes installed in the mid-1980s are especially prone to slab leaks. Don’t underestimate the power of even small amounts of water over time. It causes erosion that undermines your home or place of business, and that leads to uneven settling, cracks, and even structural damage. You may notice warm or damp spots, or even hear running water. Or you may only notice a jump in water use on your utility bill. If there’s any doubt call our leak detection services. After identifying the issue, our expert plumbers can complete a spot-repair or other type of slab leak repair. Even with a winter of heavy rains Southern California faces long-term water shortages. There’s a good chance you can qualify for free water conservation devices such as lawn sprinklers, drip irrigation, pool covers, and so on. Visit http://www.evmwd.com/civicax/filebank/blobdload.aspx?BlobID=31870 for the details.